Our friend, residency classmate and UC alumnus Ari Avellino passed away unexpectedly this past summer. 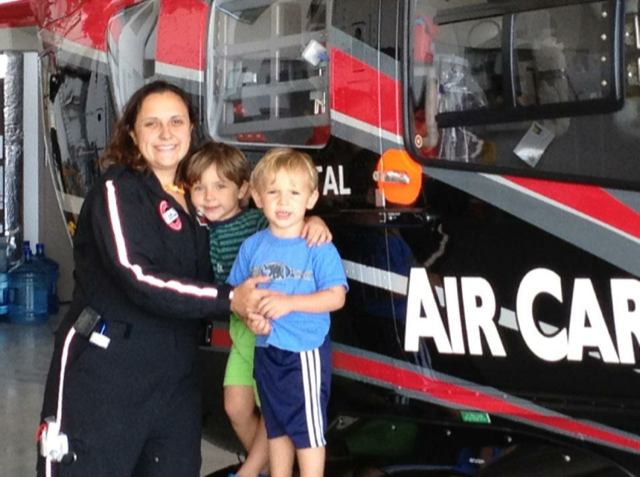 Ari was a selfless physician, caring mother and wife. Her family maintained her generous spirit, even after death, with the gift of organ donation. Her husband, Adam Boomer, has been a stay-at-home dad since Ari started residency. They have four children, ranging in age from 2-10. Countless alumni and friends have expressed that they wish to do everything possible to help her family, as they will have many needs over the coming years. Her GoFundMe site alone has raised $94,655 since it was created. Many of you generously contributed, and her family is incredibly grateful. As the initial shock is wearing off, they are now thinking about how this may translate to the long term. Many of you, as well as other alumni, have approached me and my classmates about how we might be able to help them in the coming years. Her family has arranged an irrevocable trust for the care of the four children. It encompasses education needs, health care, maintenance, and support. This trust is how they would prefer to manage any donations in her memory, and all money will go to the sole benefit of Ari and Adam’s four children. The GoFundMe site: https://www.gofundme.com/ari-avellino. This is quick and easy, however, it deducts 2.9% from each donation, as well as a transfer fee of $0.30 for each transaction. Her family remains very appreciative of Ari’s UC family. With any of the above mechanisms of donation, they will be able to track donors, and plan to send notes of appreciation upon receipt.